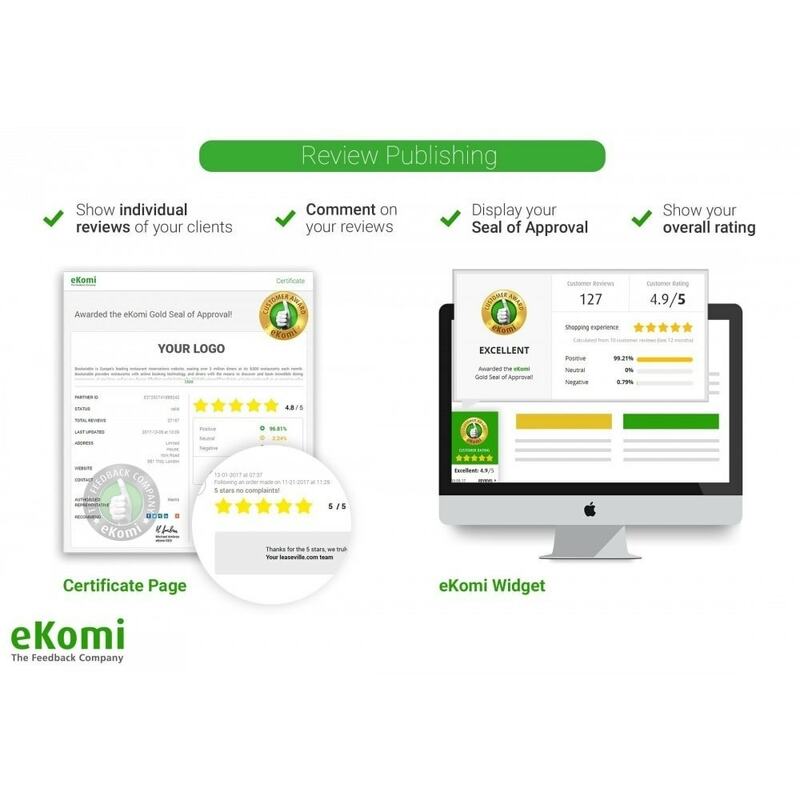 eKomi is the leading third-party review service, specializing in the collection, management and publishing of seller and product reviews and ratings for businesses. Thanks to our constant innovation and market-leading technology, we offer the most varied and flexible review generation methods, allowing you to reach all your clients to pro-actively request their feedback. Automatically collect and display authentic seller and product ratings and reviews. Increase trust in your business and boost customer loyalty to increase sales. 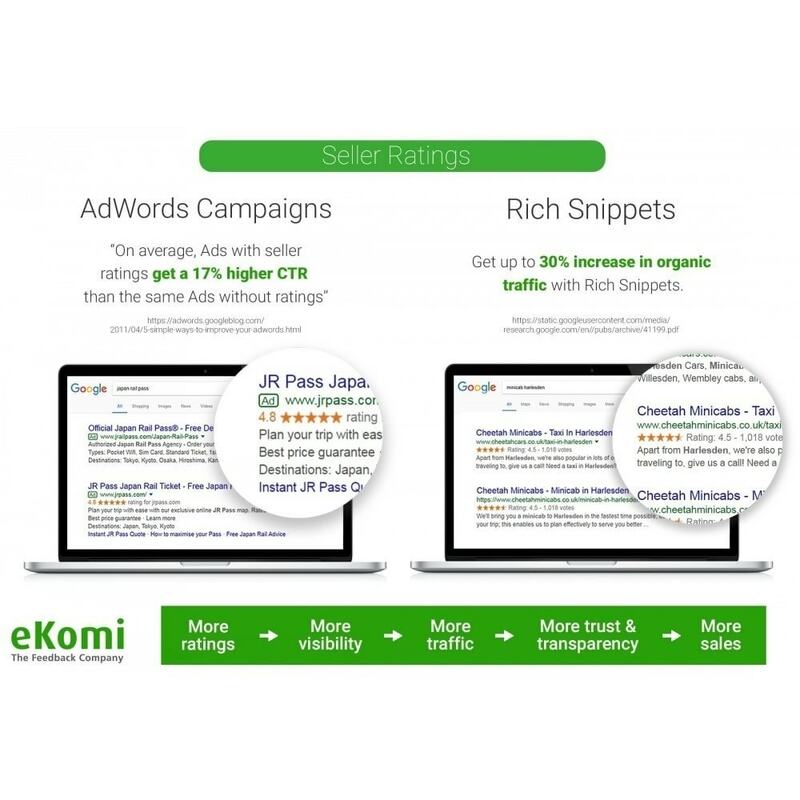 Activate your Seller Rating Extension to display stars on your Google Ads and increase your Click-through-rate by 17%. Incentivise further purchases with our integrated coupon feature. 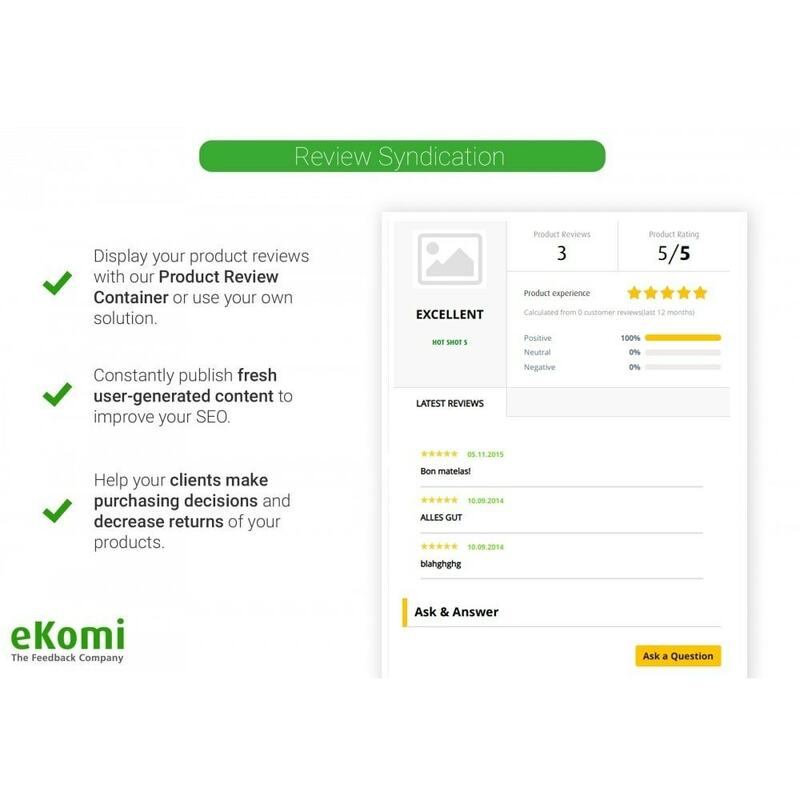 Decrease returns by displaying product reviews on your corresponding product pages. Overall, the more ratings you get for your business, the more traffic you drive to your site, the more trust you create among current and potential clients, and the more you will boost your sales and ROI - so get started today! 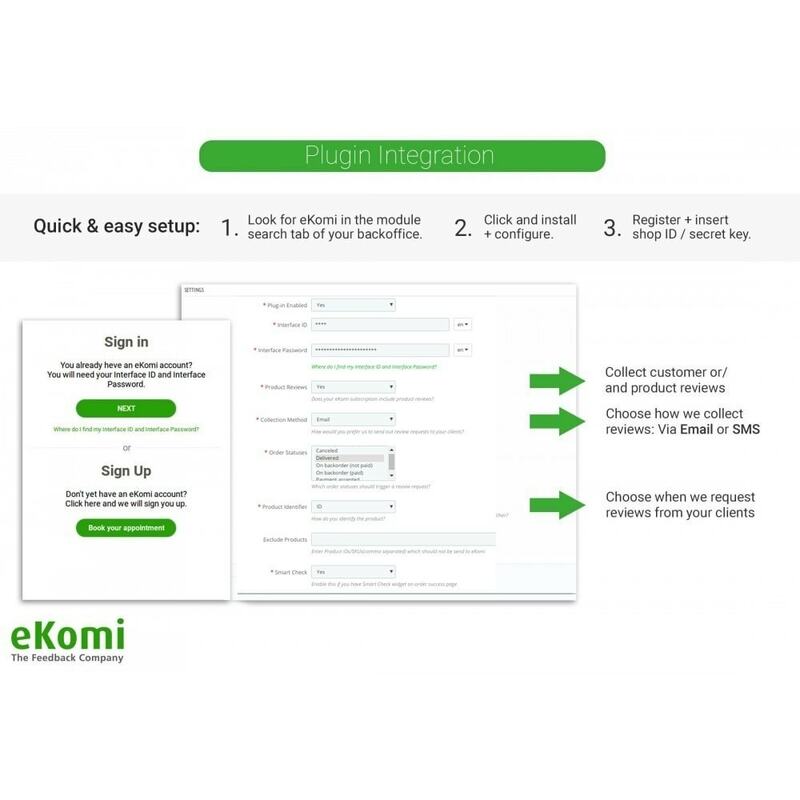 The necessary order details are automatically read in from your shop system database which will enable eKomi to send your client a review request. 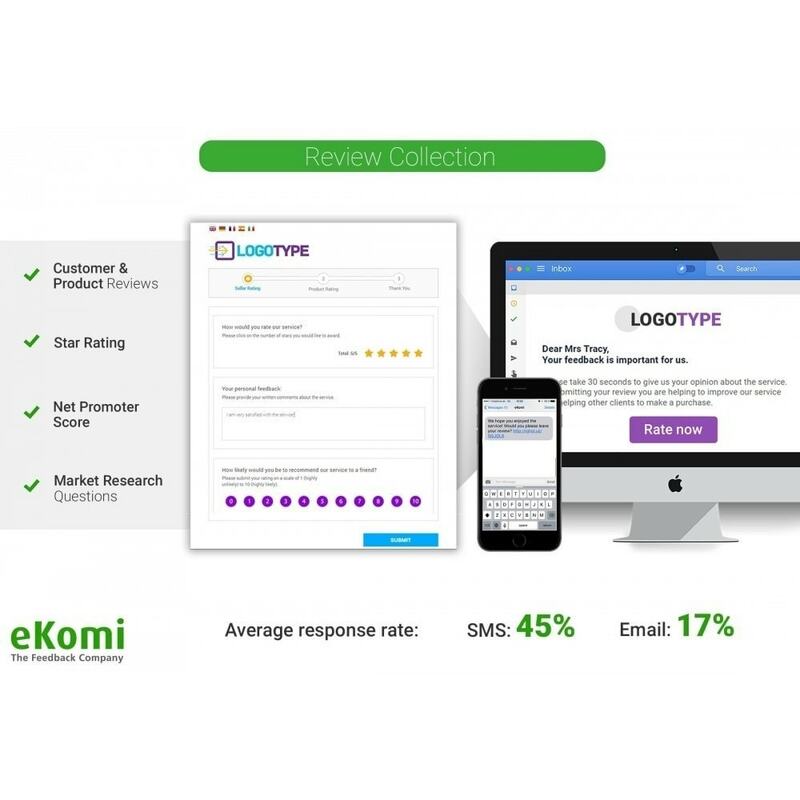 Collect both seller and product* reviews from your clients. Your clients will also appreciate being asked for their feedback! It will reinforce the importance of their opinion for your business and make them feel appreciated, thus reinforcing customer loyalty. Any problems or issues can easily be spotted and dealt with pro-actively. If you decide to include discount coupons at the end of the review, they will definitely be thrilled by the treat! 4- Follow step # 2, 5, 6, 7 and 8 from above section respectively. 3- Go to administration panel → Modules.